July 10, 2017 – Only Seven More Mondays. Mea Culpa. Only seven more Mondays until we begin ‘My Monday After College Football Awards.” Today is the unofficial start of college football season beginning with Conference Media Days. 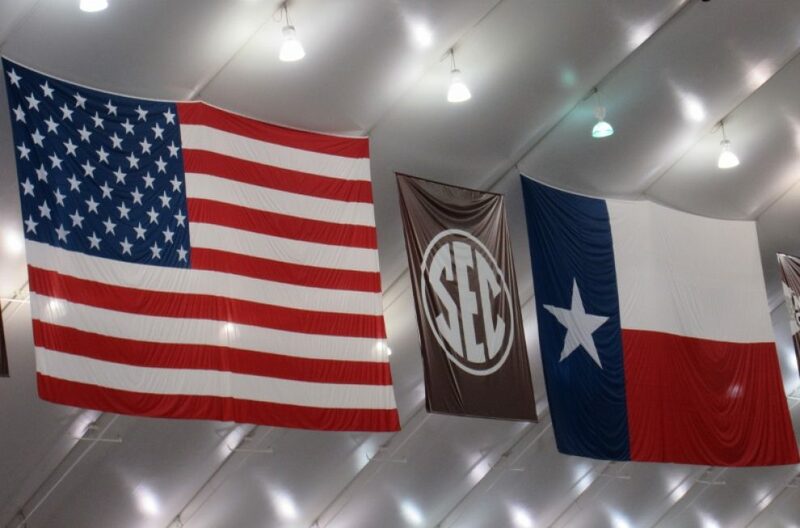 My conference tis of thee and that means the SEC for me. I claim rights on that T-shirt slogan. However, it is all talk and no action at this time. Therefore the only award today goes to me. I am awarding myself the “Is My Face Crimson” Award. Modern Version: Sorry. My bad. I will never misspell Coach Nick Saban’s name again; I will never spell it Sabin, like the scientist, and I will write Saban spelled correctly the end zone 100 times. I will remember to spell his name correctly because his name has two A’s in it, like the beginning and the end of Alabama. There are four As in Alabama – the same number of National Championships won by Nick Saban to date. LSU, Florida, Alabama, Auburn and everybody else. Texas A&M will be sharing Wednesday with Alabama and Saban with two A’s. This is allegedly to reduce the temperature in Coach Sumlin’s seat, which even Paul Finebaum says is “the hottest seat in football.” You cannot let this season get away! Here’s what I’m thinking. Coach Sumlin must upset at least one of those teams to even turn down the temperature a few degrees. Can we all agree that the team the Aggies should upset should be FLORIDA?